The newly built research premises located on the University of Würzburg’s Hubland Campus offer about 1,500 square metres of space for laboratories, offices and state-of-the-art research infrastructure. "If you want to take the lead in the international competition for researching technologies of the future, you have to be able to rely on top-notch technical infrastructure. The 8.75 million euros worth of funding from the Free State of Bavaria and the university are a good investment," said Bernd Sibler, Secretary of State in the Bavarian State Ministry for Education, Science and the Arts. The centre is part of the research network "Solar Technologies Go Hybrid (SolTech)" which is also funded by the Free State. Five Bavarian universities participate in the network. "The subject we are promoting here is really important and very exciting," Sibler said. SolTech’s aim is to develop innovative concepts to convert solar energy into electricity and design novel energy carriers in well-equipped laboratories, the so-called "Key Labs". "The inauguration of the CNC is therefore crucial to solve a central question of our society: How can we achieve and secure a sustainable energy supply?" asked University President Alfred Forchel. He believes that this questions needs answering in order to preserve our present level of prosperity and quality of life without jeopardizing the environment to an ever greater extent. At the same time, he believes the CNC to be another important milestone in the University of Würzburg’s pursuit to open up seminal fields of research and promote the transfer of new research results to industry and society. Würzburg’s mayor Christian Schuchardt expressed his pride at accommodating another "trendsetting think-tank" in his city and thanked everyone involved from the university and the state government. Professor Frank Würthner, the centre’s initiator and manager, also emphasised the CNC’s relevance for the future: "Introducing young scientists into the relevant topics related to our most sustainable energy source, the sun, is the best investment we can make into the future." Würthner details which research activities the CNC will focus on: For instance, his team is working to arrange organic molecules to form larger units at miniature scale. These nano-level assemblies are capable of absorbing sunlight and transporting it to electrodes where the light is subsequently converted into electricity. They are components of organic electronics and photovoltaics. Another goal of Würthner’s research is to develop artificial chloroplasts that use light energy to generate fuel similar to a plant cell. This artificial photosynthesis could help reduce the amount of carbon dioxide in the atmosphere and produce energy-rich raw materials such as sugar, starch and methane gas. During the ecumenical consecration ceremony that followed, Dean Edda Weise and Cathedral Dean Günter Putz highlighted the importance of science in getting to the bottom of things, explaining the world and preserving it in the best sense. But they also pointed out the significance of preserving the ability to marvel. Afterwards, the some 100 guests had the opportunity to take a tour of the new rooms and ask Würthner’s employees everything they wanted to know. In the afternoon, a scientific Symposium from two major collaborative projects took place in the seminar room and the foyer in which the Center for Nanosystems Chemistry participates. Professor Bert Meijer from the Technical University Eindhoven opened the symposium with a lecture entitled: "Mastering Complexity: Functional Supramolecular Materials and Systems". This subject is also investigated by the Key Lab "Supramolecular Polymers", which is located at the Center for Nanosystems Chemistry as one part of the Bavarian Polymerinstitute (BPI) that was founded in summer 2016. Subsequently, Professor Jochen Feldmann from the Ludwigs-Maximilians-Universität München gave a lecture on "Energy Conversion with Nanocrystals: When Photogenerated Carriers do Right or Wrong". 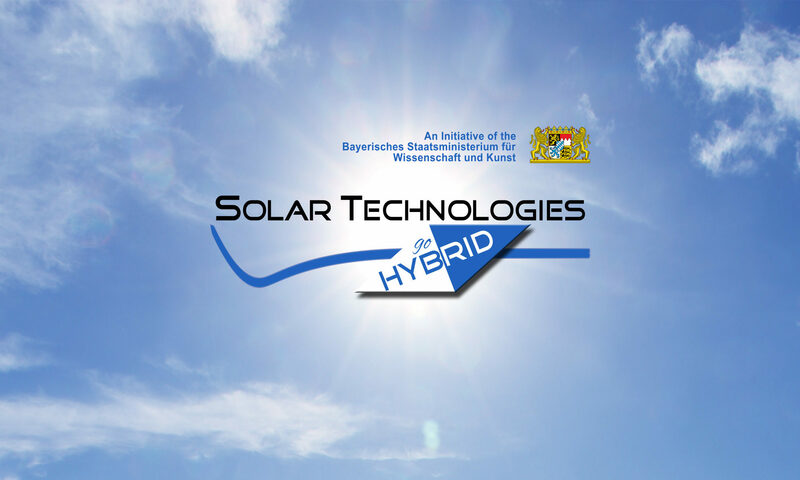 In 2012, Professor Feldmann initiated the network "Solar Technologies Go Hybrid", in which four other institutions from the Universities of Bayreuth, Erlangen-Nuremberg and from the both Universities of Munich are involved besides the Center for Nanosystems Chemistry in Würzburg.